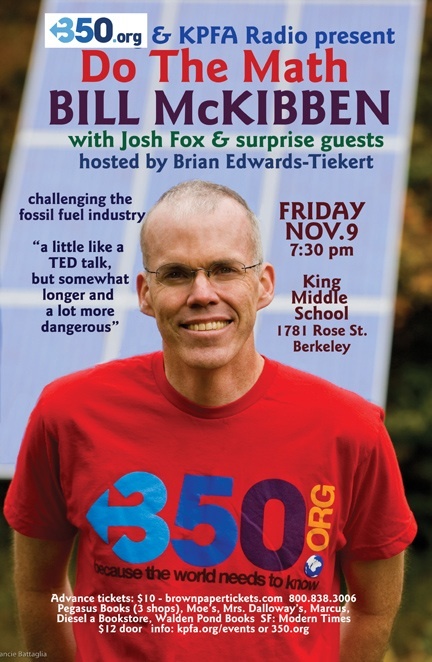 I respect Bill McKibben and all he stands for. I can only hope that President Obama will seek his counsel in some form or something even better than that. So glad to read you tonight! Loan guarantees for new nuclear power plants? Extension of the operating life of existing nuclear reactors? Continuing offshore oil exploration and granting new leases, Alaska oil exploration? Approval of the Keystone XL pipeline? Continued support and approval of shale gas exploration and hydraulic franking? I don’t ask about Medicare and Social Security, I don’t ask about banking regulations and the Federal Reserve, I don’t ask about military spending and the ongoing conflicts in Syria, Somalia, Afghanistan, Pakistan, Yemen, Congo, Mali, etc. because these issues are not themes of the blog. I have been missing your sharp, perceptive comments, Mato, and hope you’ll keep them coming! Of course I am aware of all of these misdeeds of the Obama administration that you’re pointing to, and I don’t excuse him. But whereas you are seeing in black and white, I’m seeing in relative shades of gray. Relatively speaking, Obama is hugely better for the US and the planet than Mitt Romney and his fossil fuel/big capitalism/are there no workhouses masters. 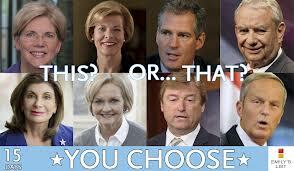 I am hugely relieved that the country sent Mitt and Karl Rove and the rest of them a solid NO WAY. Maybe they will actually take note and learn something about the reality of the world and the nation they live in. In the wake of this election I am hearing more calls for a third party to step up in the US, and maybe the time will be ripe now. There is tremendous disgust at the amount of money wasted in these contests. As the internet penetrates further and further into the populace, expensive TV campaigns are becoming less and less effective, while social media and blogs are growing in influence and may provide the opening for a viable third party movement. For me right now the most important question is, how much time do we have? In the US, generally, people go about their lives imagining stability–it’s all the vast majority alive today have known. But then there’s a Katrina, or a Sandy, or a drought, or a wildfire…and suddenly the ground shifts beneath our feet. Do we have enough time to build a Green Party movement in the US that could actually start making inroads into mainstream politics? Should those of us who support the Green Party agenda be starting now to build the base for 2016? Or should we instead be focusing on building local resilience, being prepared personally and on a community level for the inevitable shocks to come? This is what I will be thinking and writing about more in the days and weeks to come. Your insights will be much appreciated, Mato! Thank goodness for Mato. I left this blog last night outraged. We are living in a country terribly divided. 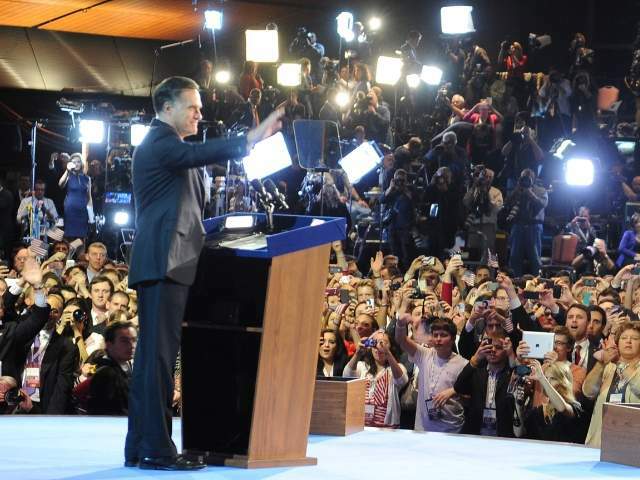 Huff Post reported (the most recent I could find) that Obama got 50.4% of the popular vote, while Romney got 48.1. Those numbers will be slightly adjusted, but you see the picture. We have a president who has no more support than roughly 50-51% of the population. Nearly half of Americans are pretty upset with the election results, and have not given the current president their mandate. In a situation like this, gloating would be poor form! And to hear more than gloating, to hear this… bluster about “his big heart” and how “we love him” — what, the progressives are pushing a cult of personality now?! For a man whose misdeeds are too numerous to count, too big to ignore? But that’s not bad enough. Here, Jennifer breathlessly reports how “we don’t want to go back to the intolerance and hatred of our past” while pushing the same with her pen. Stirring up hatred and intolerance of the left with her likening the Republican party to KKK. Repugnant. Ugly. Smearing her fellow citizens with the darkest paintbrush of the past. Yes, and coming together was precisely what Obama was calling for in his acceptance speech–did you happen to hear it, leavergirl? You may be right, I may have been out of line with the Klan analogy–it was not mine, actually, but I did call it “apt.” The Romney/Ryan Republicans frankly give me the shivers, as in, I am actively afraid of them, I believe them to be a true menace to society. Hence my relief and perhaps an over-the-top exuberance at their defeat. It is not that I don’t see Obama’s flaws. I just continue to believe that he is capable of more. I do believe he has a heart, and that he wants to do the right thing as President–as opposed to the cynical power-grabbing Republicans. He is very shrewd. He could not openly defy the fossil fuel industry without risking the billions it cost to put on the campaign. My hope is that the newly democratized media will come to reduce the influence of money and big business on our political system. Perhaps we are finally at the threshold of a time when a Green Party can take hold in the US. Or when the Democrats can be pushed and pulled greenward. May have been? MAY HAVE BEEN?! Don’t you realize that the system’s got you exactly where it wants you, fearing and vilifying the other side?! So they can keep up their “divide and rule” game? If you want to take it past the flat out hypocrisy of this post, then get out of your bubble, Jennifer, and go and talk to those Republicans, and ask them about what they believe and why, and build bridges. Obama’s not gonna get it done, he’s all about speechifying. But you and I, each one of us, we could. We could build those bridges one person at a time. This is not a game of chess. We are all in a boat together, and if we don’t learn to collaborate and hear each other and help each other, we’re gonna go down. You cheer for their defeat? You cheer for the boat going down. We need to find non-partisan solutions that serve us all! Sorry, leavergirl, at the moment my heart is not as big as Obama’s. I don’t feel like reaching out to the Republicans. They need to reflect on their defeat and understand why their form of divisive partisanship–and racism, sexism, etc–is out of step with our times. At present, they are the folks who would leave 47% of the population (and then some!) off the life boats. So I’m not about to be the one ushering them on to mine. Well, then. I am glad you cleared that one up. You are just as much about empty speechifying as Obama is, then. And a mirror image of the Republicans who spin scary tales to their own about the evil Democrats. Republicans are no more about the “leaving behind 47%” than Democrats are about killing civilians in other parts of the world via drones. Ugly, ugly, ugly. After reflecting on this exchange, I want to say this, in a friendly tone. I have seen you so far as an ally. As one pilgrim on the path of transformation to another: it not good enough to mouth the words. We gotta live it! You speak change well, Jennifer. Now, be the change. Duly noted, leavergirl. As usual, you’ve got me thinking. You are right, I shouldn’t tar all Republicans with the Romney/Ryan/Rove brush, and I can’t expect to make real change while leaving all those folks out of the picture. But I want to know how it is that so many Americans were duped into believing that this gang had their best interests at heart. Are people really that gullible to Fox News? Is our public education system really that bad? How to get through to these people and get them to think more progressively? Seek commonalities, not conversion. People are generally pretty insulted by getting hit on by missionaries (of any persuasion). Hang out with them, learn their lingo, learn their values, earn their trust. Then when you come on more persuasively, they might listen… But make sure you are willing to listen too, and be as open minded as you hope them to be. A game of smoke and mirrors. 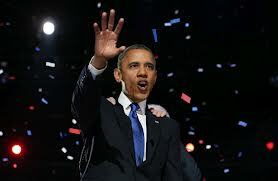 As I have said elsewhere, this was the best speech Obama has given since he was elected. Where has his speech writer been in the last 4 years? Oh, and one more thing: Is it too much to hope that this will be the last US election on which such obscene amounts of money are spent (trying to influence the outcome) by a tiny fraction of 1% of the population…? I am glad to see that Mayor Bloomberg of NYC and Governor Christie of New Jersey, both climate change skeptics until now, have been rudely awakened by Sandy–both of these guys could be instrumental in waking more folks up in the higher echelons of power. Sometimes I feel like a small bird hopping around in front of a bulldozer, which takes not the slightest notice of my efforts to get its attention before it drives itself over a cliff….It would be good to have the alliance of bigger, fiercer creatures in this struggle. Bloomberg and Christie fit the bill. And yet, we have nutjobs like Christopher Monckton continuing to deny reality – now adding Obama’s citizenship to climate change… Where will the stupidity end? Those of us who are worried about the environment are relieved Obama won the election. There’s certainly much to be concerned about on this front. Yet many Americans are unaware that half of the world’s honeybees have disappeared, or that the litmus test of rising acid levels in the oceans are a serious threat to our food chain and survival. 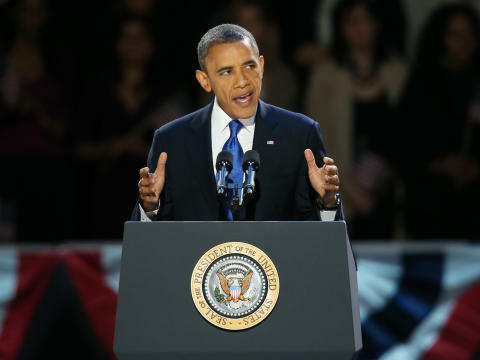 The Union Of Concerned Scientists (UCS) gave President Obama a favorable report card. May he earn a long list of high marks from the science community over the next four years!